Welcome to VAVARUNWAY International! A threefold hair, glamour, and style campaign designed to connect salons, spas, boutiques, and luxury products with eager inner beauty enthusiasts! Your visiting the VAVARUNWAY International website enables you to experience each aspect of the campaign in an all new, interactive way! The all-inclusive VAVARUNWAY Salon and Spa Portal, developed for the modern client, is set to launch this 2016! Return to the site regularly to book appointments, read testimonials, and view pictures of notable work by the best salons and spas, boutiques, medical spas, and cosmetic physicians – all are welcome to apply for inclusion. Find a five star service near you by simply coming online, visiting this site, and utilizing the coming search engine. For general information, email vivalavava@vavarunway.com. Or, to recieve details regarding portal profiles and becoming a partner, contact sales@vavarunway.com. 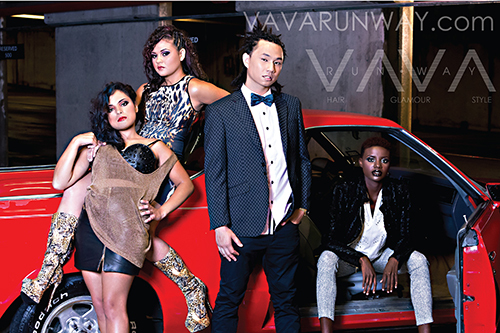 The VAVARUNWAY Models make up the third component of the VAVARUNWAY campaign. Styled quarterly by a popular boutique, beware of model casting calls! Follow VAVARUNWAY on Instagram, and Twitter, to get information about upcoming shoots!